Clicking on “Tracked” will redirect you to a list of each tracked projects on that date. You can also mouse over (move your cursor over the word and hold it there without clicking) the word “Tracked” to see the names of each project you’re tracking on that date. 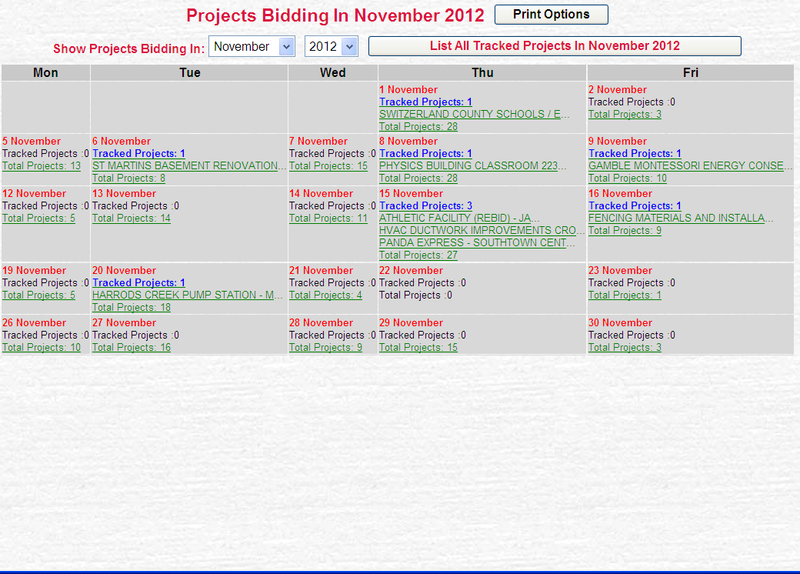 Each day of the current month will be displayed along with the total number of projects bidding on each day. This list includes the bid time, project name, city and county where the project is located and the current phase. Clicking on the name of any project in this list will redirect you to the Project Details page of the project. If you are tracking any projects on a particular date, a blue link will appear on that date which says “Tracked Projects: #” with the number of projects being tracked on that date. Clicking on this link will generate a list of those tracked projects below the calendar. If there are three projects or less being tracked on a particular date, each project will be linked to and listed by name. 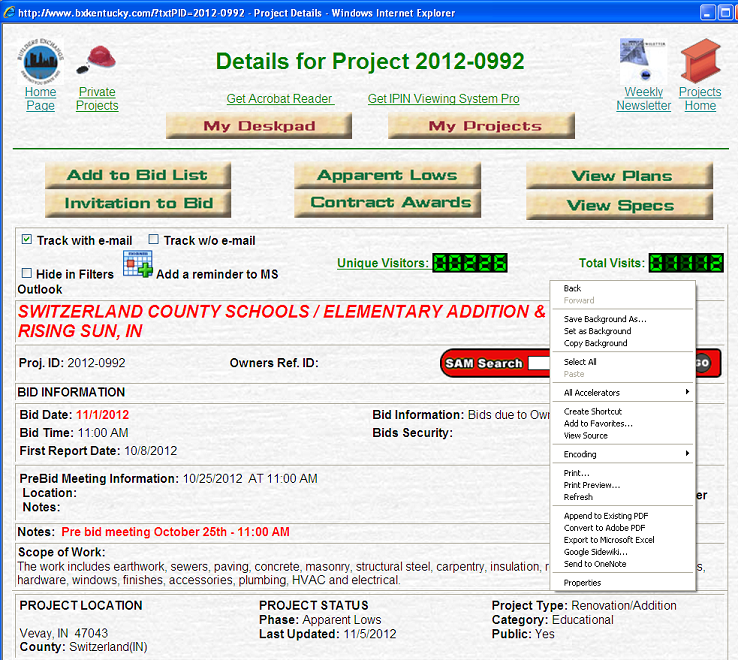 Clicking on the name of the project will bring you to its project details page. 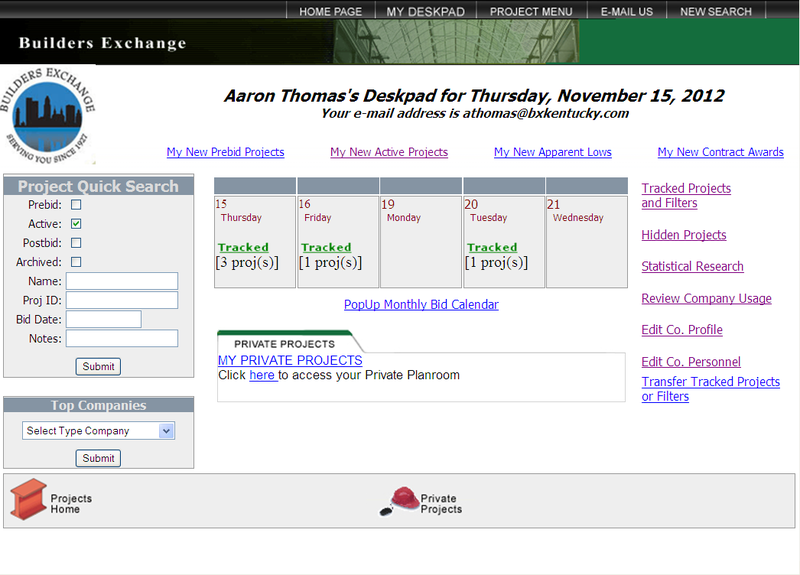 List all of the projects tracked during the current month by clicking on the “List All Tracked Projects in Month Year”. You can access future or past months by clicking on the dropdown boxes at the top of the calendar. Records are available for projects from the past year up to all projects currently bidding. Finally, click on “Print Options” to access a variety of ways to print your calendar. Place a checkmark next to “Print Calendar Only” to print the top half of the calendar only, next to “Print Project List Only” for the bottom half of the calendar (the list of projects), and “Print Calendar and Project List” to print both. Click “Apply Options” to print. 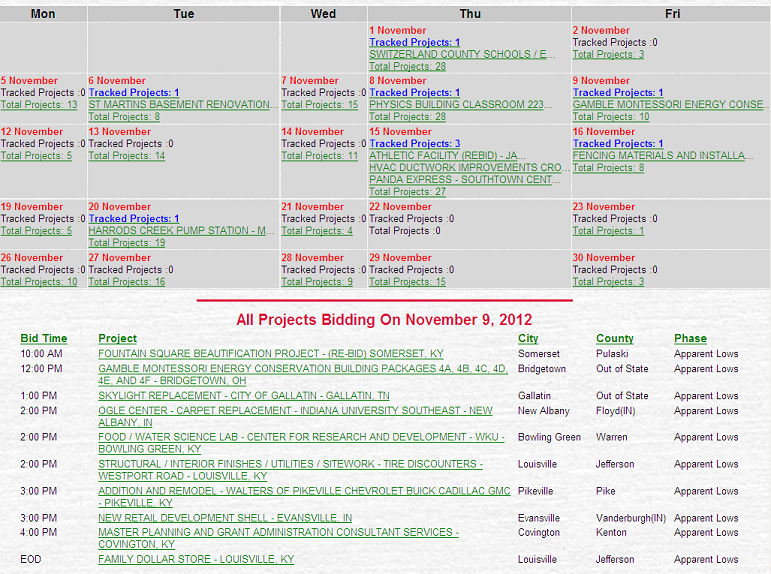 The PopUp Monthly Bid Calendar is a great tool for keeping track of the projects you are following. It can help you stay organized during the busiest months of the year or help you keep track of the projects you were involved with in the past year. Feel free to call or e-mail Aaron Thomas at 502-459-9800 if you have any additional questions on the markup tools presented above or the IPIN system in general. Reserve a spot for free IPIN training in our Louisville office on the 3rd Friday of every month from 10-11:30 a.m. or in our Lexington office on the 4th Friday of every month at the same time for more tips like this covering every aspect of the IPIN system.